Chicago | Reuters – U.S. soybean futures fell Wednesday as traders adjusted positions the day before a monthly report from the U.S. Department of Agriculture in which the government is expected to raise its forecast of U.S. soy stocks. Corn and wheat futures also ended lower. Chicago Board of Trade January soybeans settled down 4-3/4 cents at $8.79-1/2 per bushel after dipping to $8.76-3/4, the contract’s lowest since Nov. 1.
CBOT December corn ended down 1 cent at $3.72-1/4 a bushel and December soft red winter wheat finished down 1-3/4 cents at $5.10-1/4 a bushel. 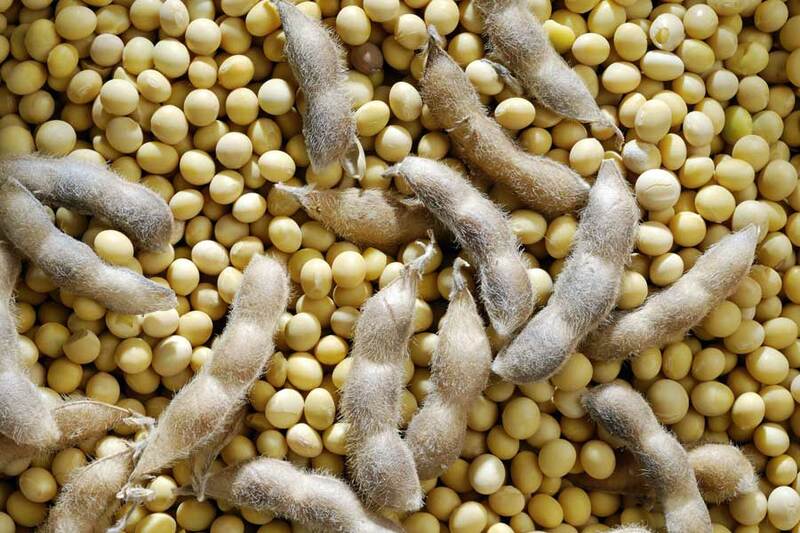 Analysts surveyed by Reuters on average expect the USDA on Thursday to trim its estimate of the U.S. soybean yield but raise its forecast of soy stocks left at the end of the 2018-19 marketing year. Rising ending stocks would likely reflect slowing soy export sales, with Washington and top global soy buyer China locked in a trade dispute. “Yields are coming down a bit, but the bottom line is our demand leaves a lot to be desired,” said Tom Fritz, a partner with EFG Group in Chicago. The United States and China will hold top-level diplomatic and security talks, which were supposed to be held in Beijing in October, in Washington on Friday, amid moves to try to resolve a damaging trade war. However, with South American soy harvesting set to begin as early as December, the window for a recovery in U.S. exports may be closing. “We will maybe pick up some exports if things (talks with China) go well. But Brazil is ready to start aggressively exporting again in mid-January because they got their crop in so early,” said Matt Connelly, analyst with the Hightower Report. Corn futures followed soybeans lower. CBOT wheat futures ended lower after a choppy session as traders digested conflicting grain export estimates from Russia, the world’s top wheat exporter. Russia’s agriculture ministry kept its grain export forecast for 2018/19 at 38-39 million tonnes, withdrawing an earlier lower forecast given by one of its officials. A weaker dollar lent underlying support, making U.S. grains more competitive globally. The dollar softened after midterm elections split power in the U.S. Congress, giving Democrats greater ability to check any major initiatives from President Donald Trump. But wheat futures faced overhead resistance from sluggish export demand for U.S. wheat, a factor that also pressured K.C. and Minneapolis wheat futures. “Everybody and their neighbor is aware that U.S. wheat exports stink,” Fritz said.